Light Truck Tires or L/T. Light truck tires are constructed for load carrying purposes which makes them great for touring with caravans or any none off road type traveling, as this type of tire will limit off roading capabilities very significant when compared to all terrains/off road. This type of tire is what comes as a standard with most 4 wheel drives, L/T's are made for the black top or highway but handle very well on beach sand and are ok on gravel. Tread pattern is usually shallow depending on which brand. The tires are stronger than regular car tires in general and have far stronger side walls which assist in carrying heavy payloads. The side walls however are not meant for off roading and will be prone to sharp rocks and sticks. Most people that buy a 4x4 don’t actually take them off road, ever! That’s why most 4x4 ute’s and some wagons roll out of the factory on light truck rubber as these vehicles are most suited for it. L/T tires are very quiet on the highways/roads and handle better compared to off road tires. Our Readers Tire & Wheel Review! Feel free to share a review of your tires and wheels with our readers. Light truck tires are good for sand driving. Tire pressures play a big factor when driving on sand but the same goes for all/any tire. They will outperform mud tires and aggressive all terrains on sand dunes and beaches and would be a great choice for the 4 wheel driver who just does sand driving. L/T’s are a lot cheaper than off road tires so if this is all that’s required why buy off road tires? I wouldn’t count on the L/T tires in these situations; it is really easy to puncture a tire of this sort. 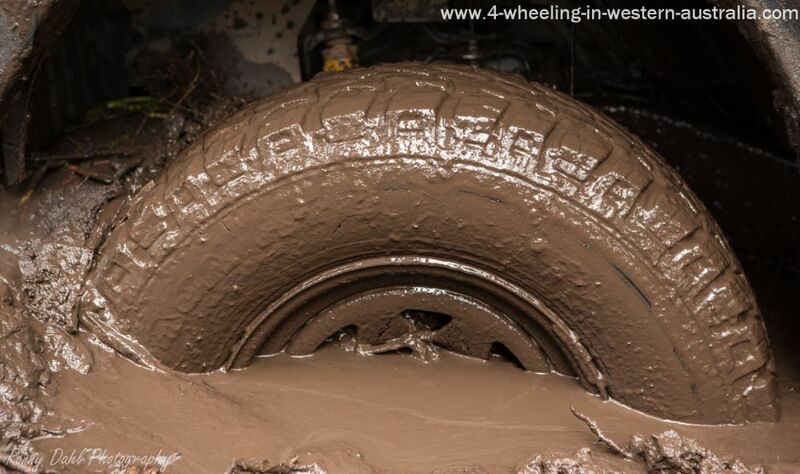 Forget about mud, don’t even bother. The L/T tire will turn into a racing slick instantly, causing a dangerous loss of control. Going down a muddy hill would be like sliding down on ice. Leave Light Truck Tires And Go To 4 Wheeling In Western Australia.